Time to Get Your Heating System Tuned Up for the Charlotte Winter Ahead! After a long hot summer in Charlotte, it’s time to start thinking about your home heating system again. Wether you have a gas furnace heat system or a heat pump with an electric heating backup, each home heating system needs a thorough tune up in September or October, so you can be sure it will last through the winter months ahead of us in Charlotte NC. In this Charlotte HVAC Guide article about home heating systems, we want to help you understand what needs to be checked during a furnace or heat pump checkup, as well as what you can expect to pay and where to find deals on a furnace tune up in Charlotte. When you call out a Charlotte heating contractor to check out your home heating system, they are going to focus on making sure your system is properly tuned to it will run to its highest efficiency, over the winter months ahead.In order to do so, you should have the area around your heating system cleared so they can get to it easily. If it’s located under your home in the crawl space, make sure they don’t have to climb through clutter to get to the heating system. Visual Inspection of all Panels and Surrounding areas for Corrosion and anything out of the Norm. Inspection of your Heat Exchanger for Cracks or signs of Failure. Test of Compressor, Reversing Valve and Defrost Cycle on Heat Pump Systems, as well as Coil Inspection and testing of Backup Heat Strips. Check Gas Pressure, Burners and Ignitor or Pilot Systems on Gas Furnaces. Check Flue and Exhaust System for Proper operation, Obstructions or any other Irregularities that could prove to be a Safety Hazard. Many manufacturers encourage you to have your system checked at least once yearly by a professional, and have the right to request your service records before honoring warranty issues. It pays you to keep the system maintained each year! How Much does a Furnace Checkup Cost? Depending on several factors like the type of system you have, your location to the contractors office and when you decide to get the system serviced, you will generally pay a fixed price between %49-$189 per unit, for a heating system tune up in Charlotte in the fall months. 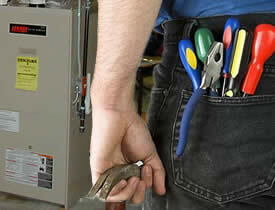 B&E AC & Heating – $189 for the First System, $79 for second or more. MTB Mechanical – $129 Heating System Tune Up, will refund if it breaks down this winter! Brothers Air – $19/Month Ongoing for Premium Maintenance Club, no service call fee for repair calls! Along with the obvious benefit of a better running heating system, when you sign up with a company to take advantage of their heating system tune up or other peak performance type agreements, most will give you priority dispatch should the system fail during the winter ahead. That means that if you wake up cold one morning in January because your furnace isn’t running, the company will put you on top of their list of calls for the day, since they already have a vested interest in your heating system working properly! Time to ring our own bell… and remind you that we have a full HVAC Discounts and Coupons section here at the Charlotte HVAC guide. 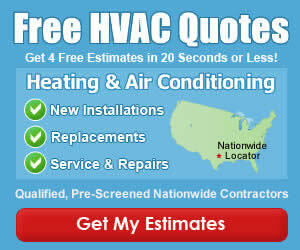 You can always find the latest offers from local heating and air companies on that page, so bookmark it and check back anytime you need service for your home HVAC system in the Charlotte area.